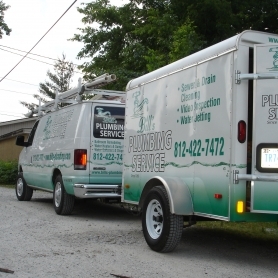 Bill’s Plumbing Service has supplied the Evansville area with high quality, dependable plumbing service for over 50 Years. Founded in 1960 by Bill Reising, we are currently owned by his son Kirk Reising, and employ his grandson Chad Reising. Integrity, Hard work, and ethical business practices have given us an excellent reputation, and allowed us to grow and maintain a large base of repeat customers. We would like to thank all of our customers who have been with us for so many years; your continued loyalty is greatly appreciated and we promise to continue treating you and your home with the same respect you have given us. To all of you who have yet to use our services we would like you to know Bill’s Plumbing strives for excellence in all aspects of our profession. Plumbing is not our job it is our career, we have spent several generations perfecting our craft and would like the opportunity to apply our skills to your home or business. Thank You!